ይህ በእንዲህ እንዳለ የክረምት የጨለማው ወራት ተፈጽሞ የበጋው፣ የጥቢው ብርሃን የሚፈነጥቅበት በፀሐይ አቆጣጠር መስከረም 1 ቀን 2005 ዓ.ም፤ በፀሐይና ጨረቃ ጥምር ኢትዮጵያዊ አቆጣጠር 2013 ዓ.ም እነኾ ብቷል፤ ዘመኑም ተሞሽሯል - እ ን ቍ ጣ ጣ ሽ !!! This Like Kahinat is cheating us... What he did here in USA few months back was a real fact to disrupt the effort of MK. NOw he is going there and trying to be MK as it is correct. Thank to Almighty God! it is a great starting. let stand together and help our holy fathers they are waking on the right way of the church . if we stand together God will be with us . again and agin thank to Almighty God the God of our holly fathers. now MK has a great responsibility to play a perfect roll in the future of our one holy church, agin thank to Almighty God i fell good and hope in the future of our church. the pray of our Holly fathers be within us and show us our path. amen. vegas. ቁሙና አንድ ላይ ሆነን ለቤተ ክርስቲያናችን የወደፊት እጣ በሰው ሰውኛ የሚቻለንን እናድርግ! እሳቸው ግን ብቅ ብለው ቡራኬያቸውን ቢሰጡን እንዴት መልካም ነበር:: ለነገሩ የቤተ ክርስቲያኗ ሁኔታ እንዲህ ተበላሽቶ ሲያዩት ግኑኝነታቸውን ከአምላካቸው ጋር አድርገዋል:: እንደምሰማው ከሆነ በጣም የጸሎት አባት ናቸው:: ምግብ እንኳን አልበላ እያሉ አንጀታቸው ታጥፎ በእግዚአብሔር እርዳታ ነው የዳኑት! የቤተ ክርስቲያናችንን አንድነት ለማየት ያብቃን!!! Thanks for sharing this valuable information. The sun is setting for "Aba" Melketsedik and other "selfish" individuals. We Ethiopian orthodox chirstians are one and strengthen keep our unity. Such 'crackers' should no more live on our shoulders in the name of relious fathers. 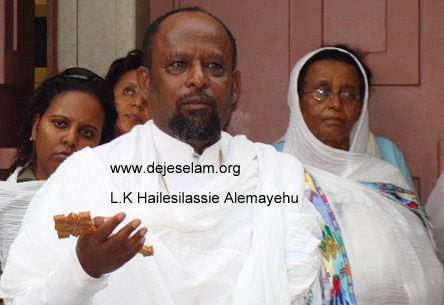 Let Abune Merkorious himself talk about his opinion. These people have purposely prevented him from public view to impose their own interests on the public. My brothers and sisters from Gondar origin, be aware that these people are separating us from our church just with an artifact. Let's do what we can to make unity and pray for the rest. Egziabher Ethiopian yibark. 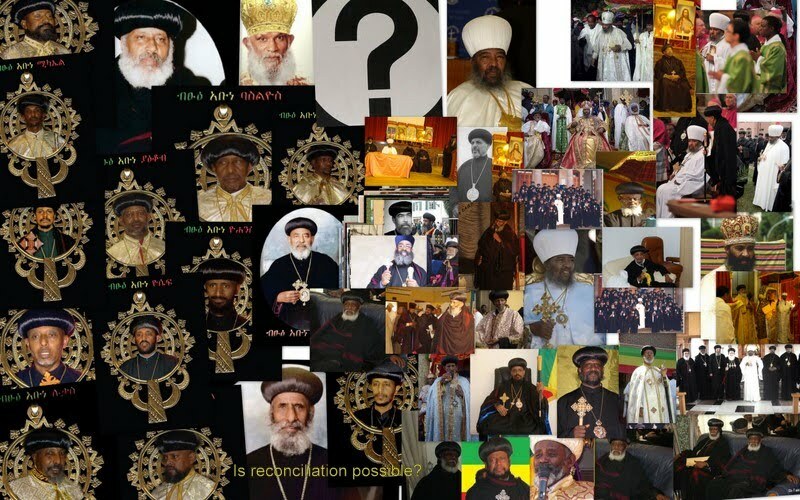 First of all Thank to ALMIGHTY GOD and Thanks all peace maker holy Fathers, It is a very good start.as we Ethiopian Orthodox Church B levers , IF WE REALLY NEED (WISH) PEACE AND UNITY OF OUR BELOVED HOLY CHURCH, OUR Holy Fathers have to agree to accept ABUNE MERKORIYOS as a Patriarch of Ethiopian Orthodox Church.This is the ONLY choice we have, to bring the church PEACE and UNITY !!!!!!! THANKS GOD, A GREAT START KEEP PRAYING ,AND KEEP PRAYING, KEEP PRAYING...GOD IS WORKING,TIME IS COMING TO OUR CHURCH PEACE AND UNITY !!! May God show us the true path. ያለ እሳቸው ካላችሁ የማይሞከርበትን ጥቂት ምክንያቶች ላስታውሳችሁ እወዳለሁ:: የምንም ነገር አማራጭ አንድ ብቻ ሊሆን አይችልም:: የግድ ብሎ ነገር የለም:: በውይይት በድርድር የሚያልቅ ጉዳይ ግን አለ:: የማንንም አቋም መስማት ሳያስፈልግ የአበው ጉባኤ ብቻውን ሊፈታው ይችላል:: ብጹዕነታቸው በምንም ምክንያት የማይገባና ክፉ አሻራ ጥለው ያለፉ መሆናቸውን መዘንጋት ያለብን አይመስለኝም:: ይቅርታ ያለፈ በደልን አያሳስብ ካልሆነ በቀር እንዳልሆነ ማድረግ አይችልም:: በራሱ ጥሎ የሚያልፋቸውን አሻራዎች መዘንጋት አይቻልም:: የአትናቴዎስ ሌላ ነው ከዚህ ጋር አይገናኝም:: የቅርቡን እንኳን ካየን ብጹዕ አቡነ ሺኖዳ የተባበሩት መንግሥታት ቢሮ ጠፍቷቸው ነው? የአሜሪካ የሰባዊ መብት ተሟጋቾችን ቢሮ አጥተውት ነው ገዳም የገቡት? አንድ ሲኖድ ላይ መንበሩን ለደህንነትዎ ሲባል እንቀይረው ተብለው ብፁዕነታቸው ወንጌላዊው ዕረፍት ፍለጋ የመጣባትን ከተማ ትቼ ዕረፍትን ላገኝ አልችልም:: እኛ የሞትነው ክርስቲያን መሆናችንን ባረጋገጥንበት ቀን ነው:: ስለዚህ የምንፈራው ሞት የለም:: ነበር ያሉት:: ሌላው ጥቅማቸውን አናውቀውም:: በመምጣታቸውና በመቅረታቸው መካከል ያለው ልዩነት ቀኖናው ብቻ ነው:: በስደት ስንት መጻሕፍትን ጻፉ? 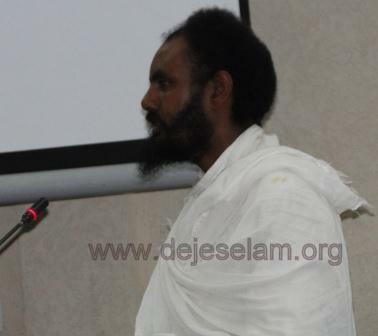 ሩቅ ብሆንም በመንፈስ እመራዋለሁ ለሚሉት ምእመን ሃያ ዓመት ያተረፉለት ምን አለ? በሕይወት አሉ አዎ አቡነ ጳውሎስ ቤተ ክርስቲያንን እንዲጎዱ እድል የሰጡ ግን እሳቸው ናቸው:: ሲጀመር ከደርግ ጋር የነበራቸው ግንኙነት ሲያልቅ እንደመሪው መኮብለላቸው:: ሲቀጥል አሁን ያሉበት ሁኔታ:: ነገስ?